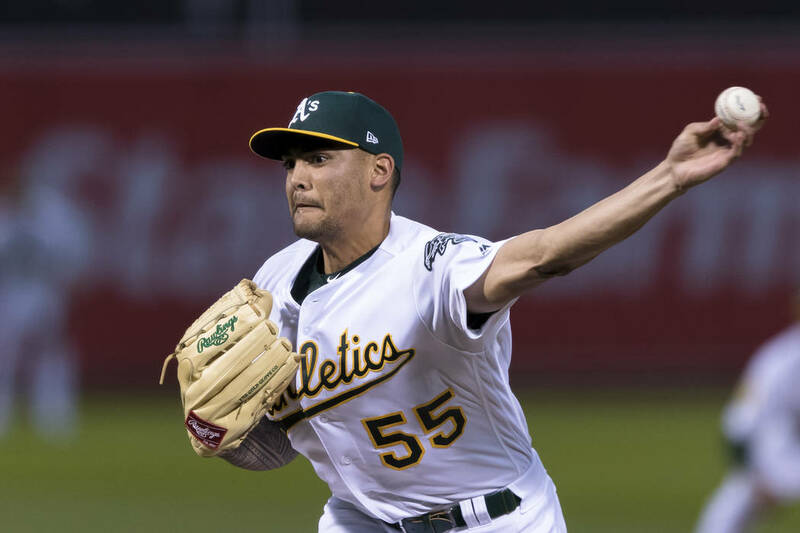 A’s lefty Sean Manaea pitched the first no-hitter against Boston in 25 years, with an overturned call preserving the gem Saturday night in Oakland’s 3-0 win over the sizzling Red Sox. 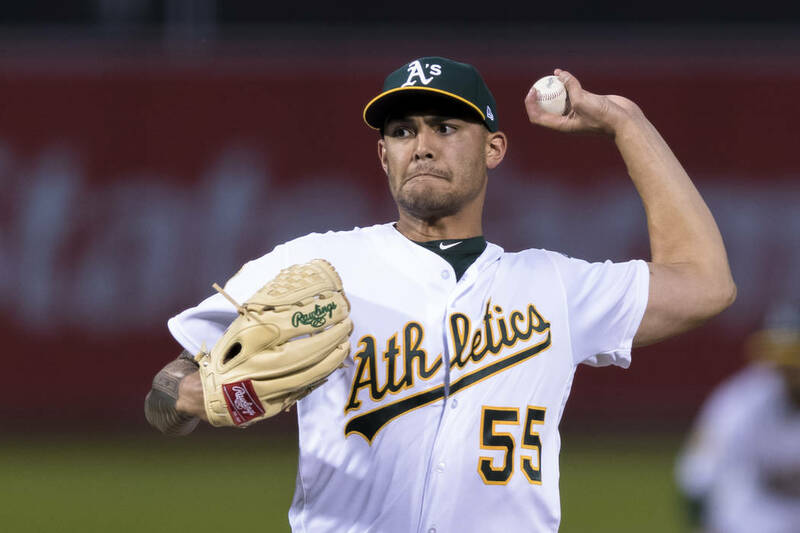 OAKLAND, Calif. — Sean Manaea might’ve been the only person at the Oakland Coliseum who didn’t realize he was still working on a no-hitter. After a dropped popup in the fifth inning, the Athletics lefty figured it was over. Because it was ruled an error. And his shot at history remained intact. 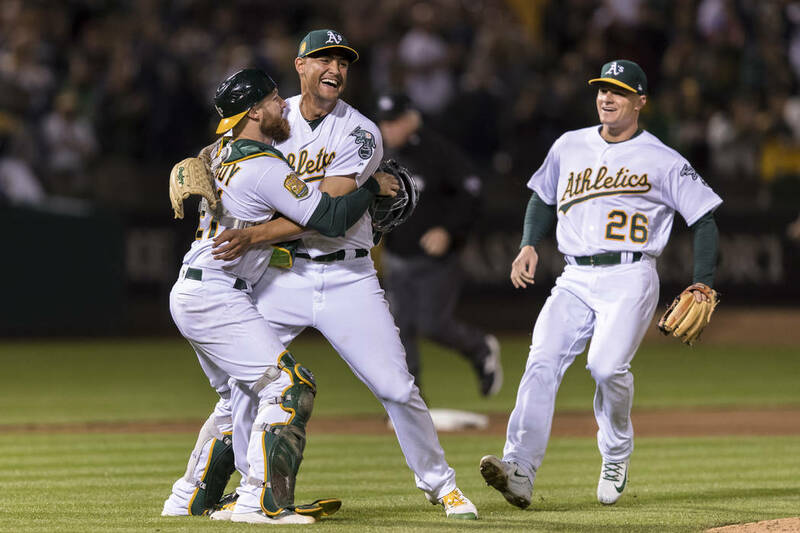 Manaea pitched the first no-hitter against Boston in almost exactly 25 years, with an overturned call on the bases preserving the gem Saturday night in Oakland’s 3-0 win over the sizzling Red Sox. 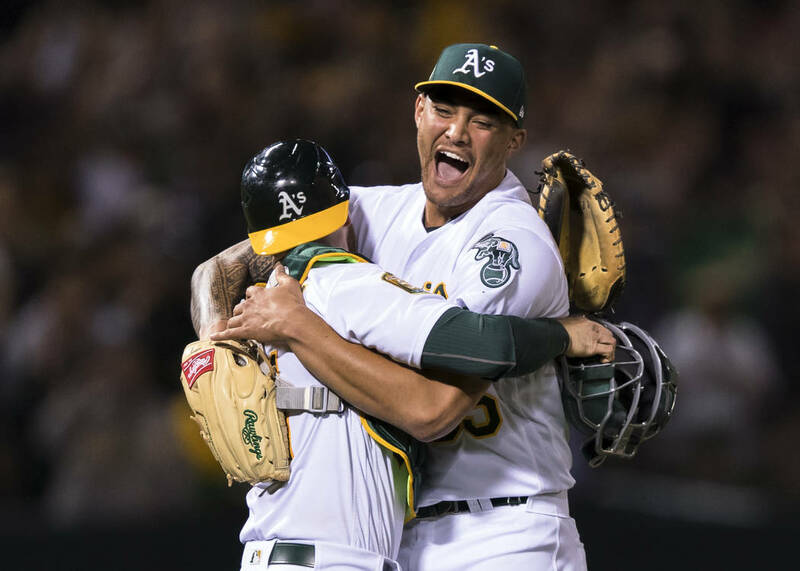 Manaea struck out 10, walked two and threw 108 pitches to finish off Oakland’s first no-no since Dallas Braden tossed a perfect game against Tampa Bay in 2010. Manaea got Hanley Ramirez to ground out to complete the first no-hitter versus the Red Sox since Seattle’s Chris Bosio did it on April 22, 1993. 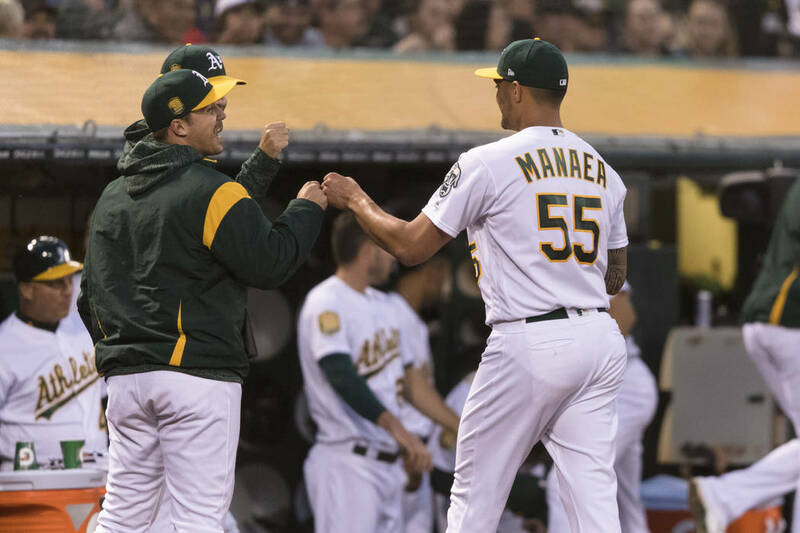 “I just telling myself, keep everything the same, and not let anything get too big for me,” Manaea said. Sandy Leon reached in the Red Sox fifth when A’s shortstop Marcus Semien ranged into shallow center field and dropped a popup trying to make an over-the-shoulder catch. The play was scored as an error. Manaea said he figured it was a hit. A few innings later, he noticed what everybody else already knew — no-hitter in progress. “So after that, my adrenaline started pumping a little bit again, and I really wanted to finish this thing out,” he said. 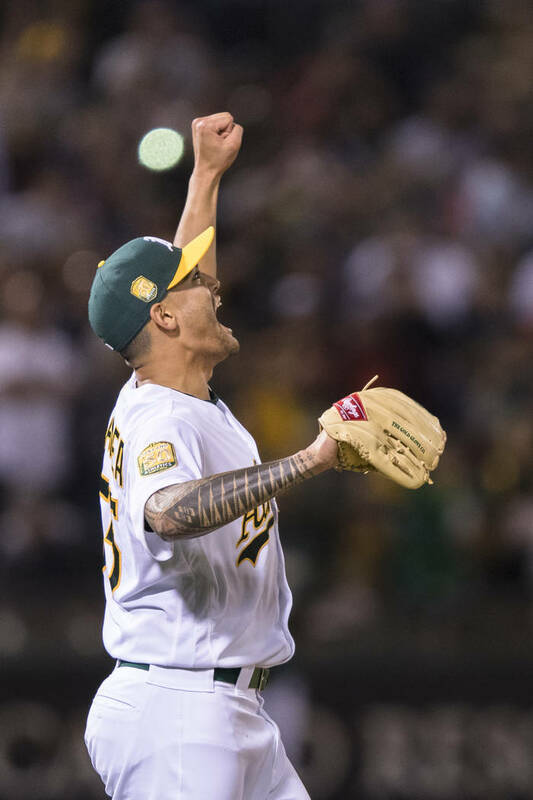 “My heart was beating out of my chest and I was trying to do everything I could (to stay calm),” Manaea said before he was interrupted by teammates who smeared celebratory shaving cream in his face, dumped water and Gatorade on his head and left him with a plastic bubble gum tub for a hat. It was the 12th no-hitter by the Athletics franchise and the 12th thrown against the Red Sox. This was the first no-hitter in the majors since Miami’s Edinson Volquez pitched the only one of the 2017 season against Arizona on June 3. Red Sox: SS Xander Bogaerts (left ankle) will play for Triple-A Pawtucket on a rehab assignment on Tuesday and Wednesday. If all goes well he’ll be activated when the team opens a six-game homestand on Friday, Cora said. . RHP Steven Wright (left knee surgery) left a rehab game at Triple-A Pawtucket on Friday with back tightness. . RHP Tyler Thornburg (right shoulder surgery), who’s at the team’s extended spring training facility in Fort Myers, Florida, will join the team on Friday and could throw batting practice, Cora said. Athletics: RHP Yusmeiro Petit was activated from the family emergency list on Saturday. . RHP Josh Lucas was sent to Triple-A Nashville in a corresponding move. . RHP Paul Blackburn (right forearm strain) threw on flat ground for a second straight day on Saturday, but the A’s haven’t established a timetable for his return, manager Bob Melvin said. LHP David Price (2-1, 2.25 ERA) will pitch for Boston in Sunday’s series finale. RHP Daniel Mengden (2-2, 4.50) will pitch for Oakland.